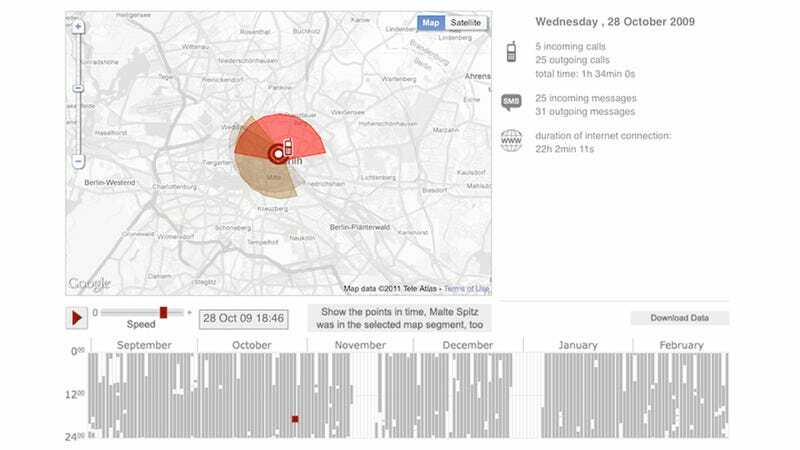 How much information does a phone company collect on you? Given that they know which tower your phone pings every time you use it, try "all of it." That's what one German politician discovered when he sued his carrier, Deutsche Telekom, for all of the data they'd archived for six months of his cellphone usage.